Norwegian F16 fighter jets may once again be called upon to aid in the bombing of IS targets in Syria, defense experts said Tuesday morning. As a member of NATO, Norway is obliged to answer calls for help from fellow NATO members, and France has now asked EU leaders for military assistance. Norway is not a member of the EU but it is an active member of NATO, which operates on a principle of “one for all and all for one.” If one NATO member is attacked, as France was over the weekend, other NATO members view it as an attack on the NATO alliance itself. The Islamic extremist organization IS (also known as ISIL and ISIS) has claimed responsibility for deadly attacks in Paris Friday night, which already have deeply disturbed Norwegians and unleashed an outpouring of support for France in Norway. The French news service AFP reported on Tuesday that French Defense Minister Jean-Yves Le Drian has now asked fellow EU leaders for help in carrying out military operations abroad. Le Drian said that France cannot be alone as the only EU country battling IS in Syria and Iraq. The attacks in Paris already seem to have spurred more cooperation, and eased tensions, among leaders of the US, Russia, the UN and the EU. Unusual photos of US President Barack Obama and Russian President Vladimir Putin actually talking again dominated front pages of newspapers Tuesday morning, not least in Norway, which has long prided itself on being a loyal NATO member and US ally with a record of good relations with its Russian neighbour. Those relations have been sorely tested since Russia’s annexation of Crimea and intervention in Ukraine last year, but that serious conflict seems to have been back-burnered as IS now poses the biggest threat to the entire world, in the words of Obama himself. Russian, US and other leaders are starting to agree on means of fighting what’s now seen as a common enemy, and even on how civil-war-torn Syria might be governed in the future. That leaves Russia and France all but declaring war on the same enemy, IS, and that’s likely to involve others in the battles. Denmark’s foreign minister, Kristian Jensen, has already indicated that Danish fighter jets may take part in the bombings of IS targets in Syria. The Norwegian government continued to decline comment Tuesday on the possibility of Norwegian participation as well, but others indicate it may just be a matter of time. 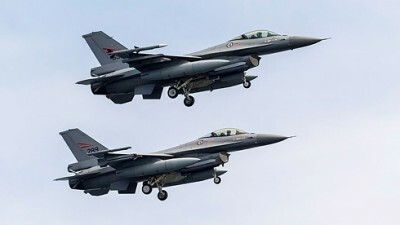 “Norway has the capacity to take part with F16 fighter jets in a coalition,” Commander Per Christian Gundersen of the Norwegian Defense College (Forsvarets høgskole) told newspaper Bergens Tidende on Tuesday. Norway played an active role in the UN- and NATO-led coalition that bombed Libya four years ago, and now NATO’s secretary general is the man who was Norway’s prime minister at the time, Jens Stoltenberg. If France calls for NATO help, and NATO responds, it would be unusual if Norway did not take part. Current Prime Minister Erna Solberg hasn’t wanted to “speculate” on whether Norway will be called upon to more actively join the fight against IS. Norway already has helped train Iraqi forces to battle IS, but otherwise has stayed out of combat in Iraq itself. Ulriksen thinks it may be more likely that Norway contributes special forces to any coalition against IS. “They’re fully prepared to take part in international ground forces in Syria or Iraq,” Ulriksen said. Norwegian participation in assaults on IS would raise the risk of IS-led terrorist attacks in Norway, just as its participation in Afghanistan and Libya already has. Concerns were already rising that Norwegian police have been unable to control all the asylum seekers streaming into Norway in recent months, and the attacks in Paris sent a worldwide alarm that terrorists have infiltrated the ranks of refugees. The head of Norway’s police intelligence unit PST told state broadcaster NRK, however, that it had no information the risk had increased, but it was boosting intelligence gathering efforts and cooperation with border police.